Show your little tykes the ropes on the Topaz 2 in 1 slide. 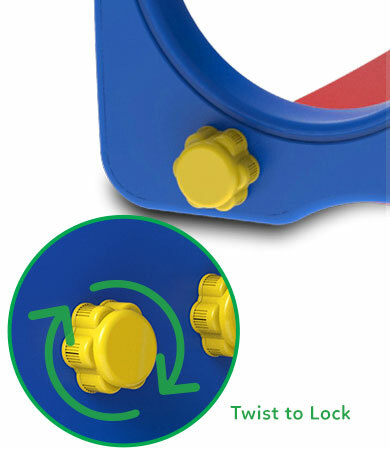 Fun shaped grips make climbing safe to develop motor skills and the 1.2m slide is just long enough to grow confidence. 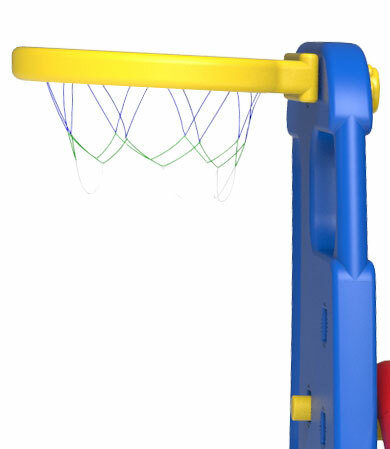 The additional miniature basketball ring will encourage a passion for sports from a young age. Our Topaz is a safe, fun-sized Slide and Hoop set designed for toddlers. Constructed from Non-Toxic, Recyclable Injection Molded HDPE Plastic, the Topaz slide is super strong and safe for year round play. Our Topaz slide is extremely easy to assemble, and will only take 30 minutes! Can be assembled just by hand with the easy hand tightened locking feature. Constructed from Non-Toxic, Recyclable Injection Molded HDPE Plastic, the Topaz is super strong and safe for year round play. 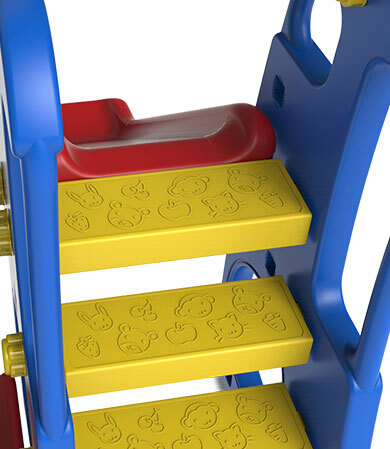 We know how important safety is for your kids, our Topaz slide passes relevant International Safety Standards.